NILAI, October 23, 2018 –The Islamic Science University of Malaysia (USIM) has expanded its role to become a major destination globally offering halal expertise and training when it signed the Memorandum of Agreement (MoA) with Longmai (HK) Global Halal Resource Centre Limited in Henan, China on Tuesday. Through the MoA, USIM via its Graduate School of Muamalat (GSM) will offer the university’s halal expertise and service to provide training to halal industry players in China. The form of training provided focuses on three platforms namely, the Halal Industry Foundation Course, the Halal Industry Foundation e-Course and the Professional Halal Industry Executive Program. They will be held in China and Malaysia within a period of two years according to current needs. Longmai (HK) Global Halal Resource Centre Limited which operates out of Zhengzhou, Henan, China has been involved in the halal food and beverage trade, management consultancy and services through a joint program with recognised training/education providers. In addition, the company also provides Professional Halal Consultants and is dedicated to helping their customers obtain the MS1500: 2009 Halal Certification or other Halal related matters. The signing of the MoA between USIM and Longmai is very meaningful as it was witnessed by the DYMM Tunku Ampuan Besar Negeri Sembilan, Tuanku Aishah Rohani binti Almarhum Tengku Besar Mahmud as the Chancellor of USIM. HRH Chancellor was in Henan, China together with the USIM delegation headed by Professor Dato Roshada Hashim, the Deputy Vice-Chancellor (Research and Innovation) in conjunction with the USIM Official Working Visit to China. This official working visit is at the invitation of ARA Halal Certification Services Center Inc. in China. “USIM is very pleased with the trust given by the overseas industry to train them in terms of the halal food aspect. We know China is now aggressively exploring the halal industry and our ability to offer halal training is in line with Malaysia’s role whose halal certification quality is recognised by the world,” said Professor Dato’ Roshada Hashim. 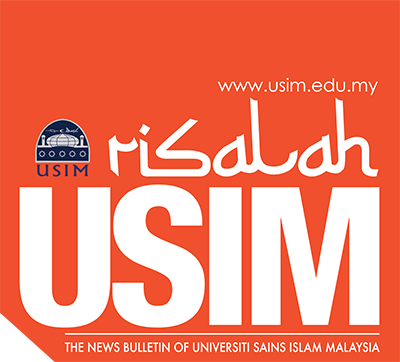 USIM has previously signed the Memorandum of Understanding (MoU) with Longmai about a year ago. The first group undergoing the halal training under USIM supervision has successfully completed their course recently.